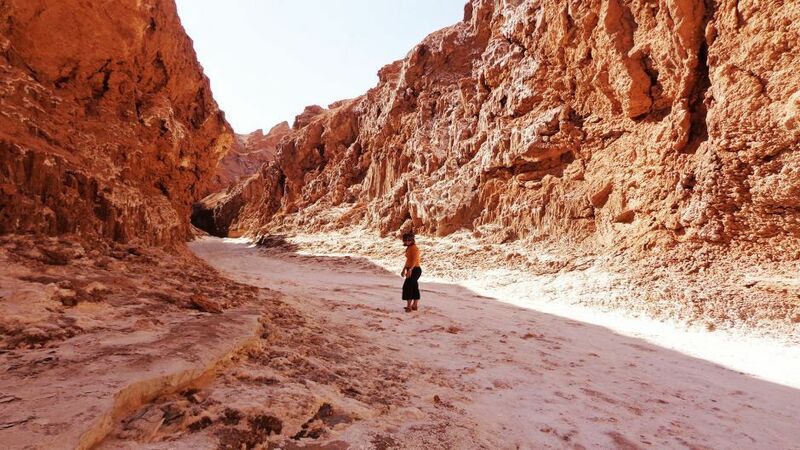 In the Afternoon We will make the Tour to the Famous Valley of the Moon, located approximately to 10 kms. 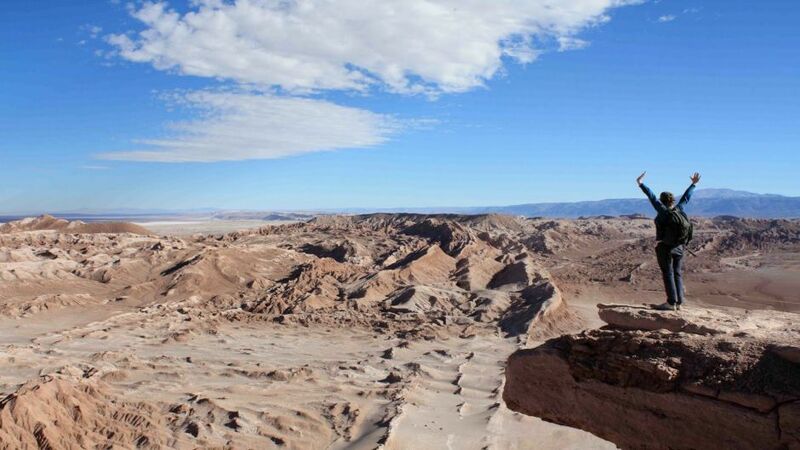 Of San Pedro de Atacama, declared sanctuary of the nature, is part of the national reserve the flamingos, located inside the mountain range of the salt. Place with beautiful shapes and colors where we can walk and observe a geological show with sculptural forms, similar to the lunar surface. Visit the salt statues "Las Tres Marías", the salt caverns. 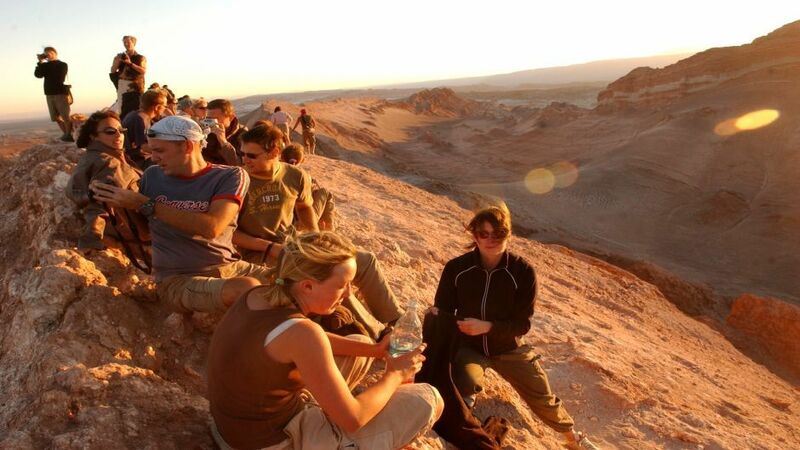 We will go up to the great dune at sunset to admire in all its splendor this beautiful panorama. 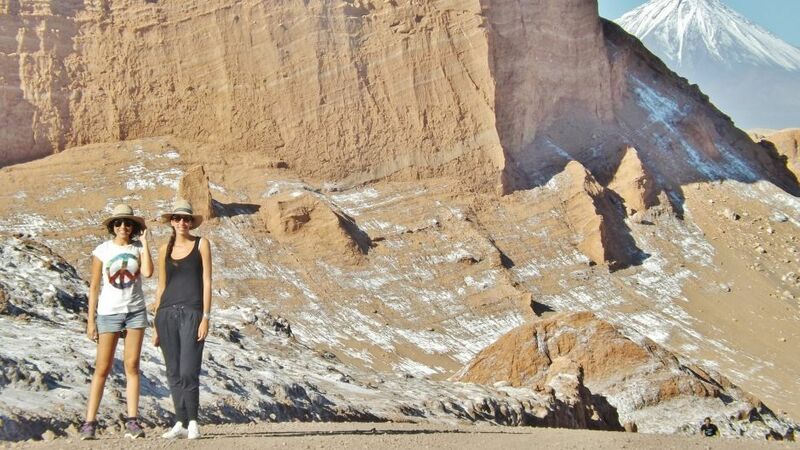 Return to the town of San Pedro de Atacama. 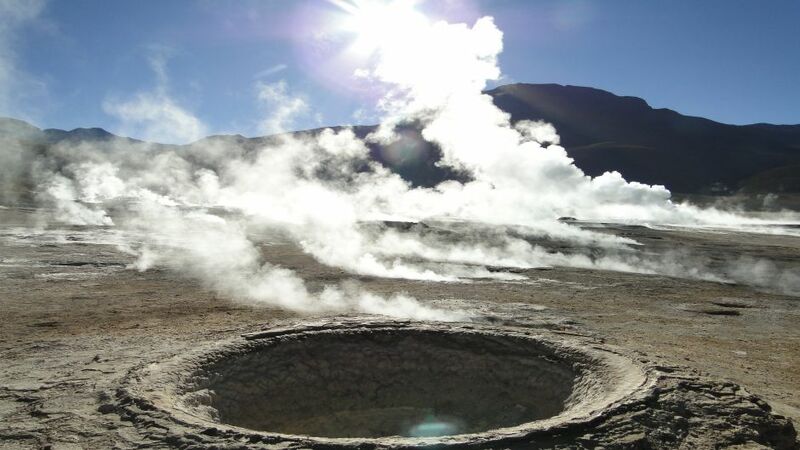 Departure at 04:30 from the hotel, to take a gravel road, by which we start ascending towards the Geyser del Tatio located at a distance of 97 Kms from San Pedro and at an altitude of 4,300 mts. All the route we realize at night, we arrive at this spectacular sector of our altiplano at approximately 06:45, normally the temperature at this time is below zero. 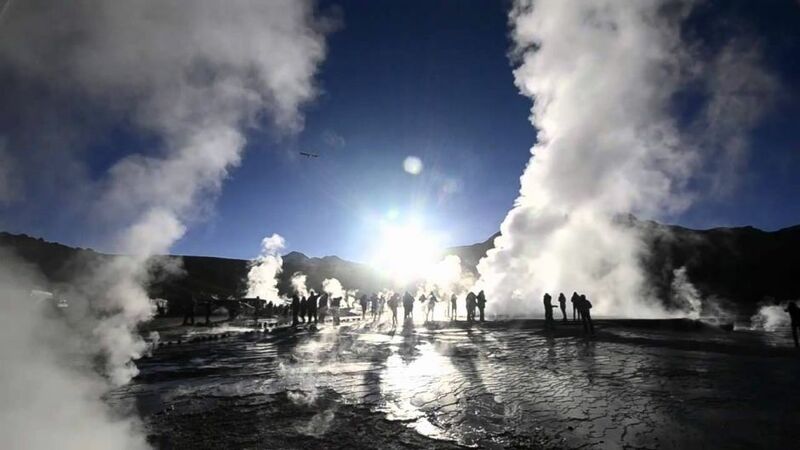 Breakfast and hiking guided by the geothermal field, observation of the impressive columns of steam (Geiser), fumaroles, hundreds of pools of boiling water and high peaks is a spectacular view of nature at dawn. In this sector we can see part of the typical Andean fauna as Vizcachas and Vicuñas. Then we move to the sector of the thermal pools with water with approx 40º where passengers can take a bathroom repair. Then we will start the return to San Pedro, through the impressive landscape of the Andes mountain range, in the route we can see the volcano Tocorpuri and Licancacabur. Arrival in San Pedro at approximately 12:00. We started picking up all our passengers from 06:30 am. From their respective hotels. Our first stop will be after about 1 hour of travel in the Miscanti and Miñiques highland lagoons located at 4200 m.s.n.m. In these lagoons breakfast is taken and the fauna of the place can be appreciated. 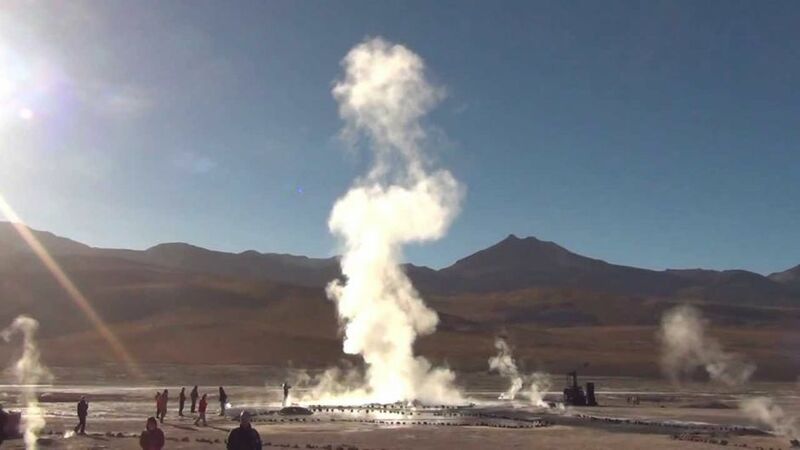 Then we will go to Piedras Rojas where we will visit Salar de Aguas Calientes and Salar de Talar, where we can appreciate the rock formations reddish colors. The next stop is in the Atacameño village of Socaire, where you will have lunch in a typical restaurant. You can also observe the terraces of culture and the village church. 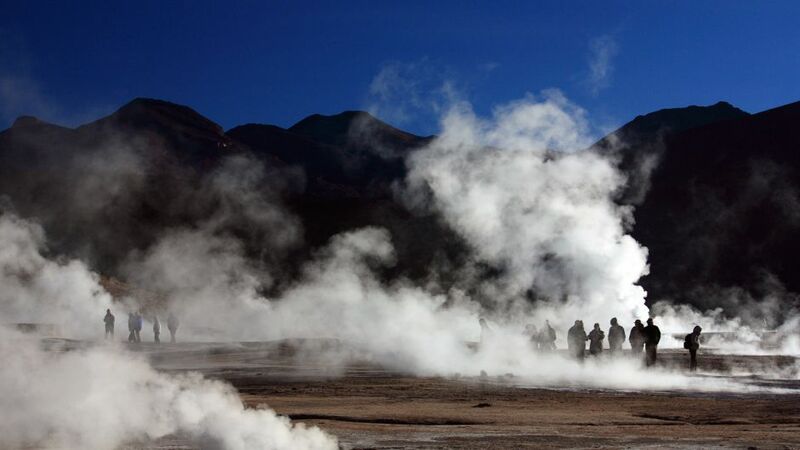 Then visit the Salar de Atacama, Chiles largest salt lake, where the national flamingo reserve is located and the Chaxa lagoon is visited to watch 3 types of flamingos, as well as other species that inhabit the lagoons of the to Salt. 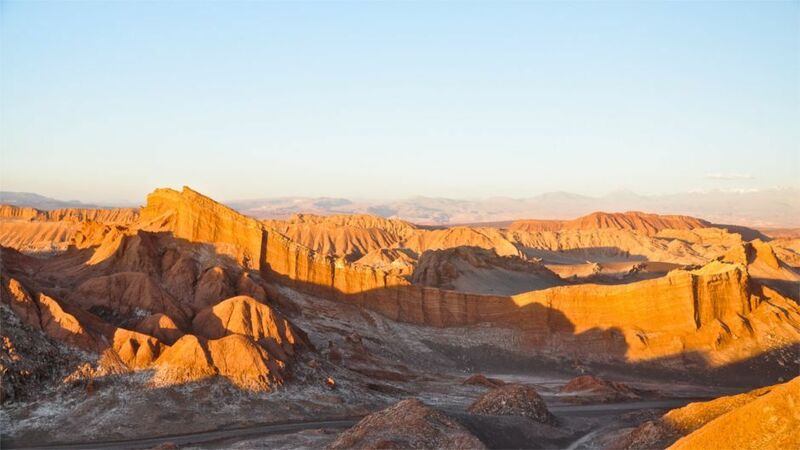 As the last stop we can visit the town of Toconao where we will appreciate the fantastic architecture of the bell tower and the village church, to return to San Pedro de Atacama around 16:30 hours. The tour includes breakfast and lunch, Guided in Spanish and English.